Tom McFadden has been making fine furniture in Northern California since l963. He is presently located in Boonville, in the Anderson Valley, about an hour inland from Mendocino. His work has been influenced by the simple elegance of Shaker pieces and by the flowing sensuous curves of the Art Nouveau period. The Arts and Crafts movement, especially the work of Greene and Greene, has had a bearing on his current designs. In addition to making pieces for consignment to galleries throughout the U.S., Tom works directly with individuals who desire custom work. Tom works almost exclusively in American hardwoods, and in almost all of his pieces uses at least two different kinds of wood. 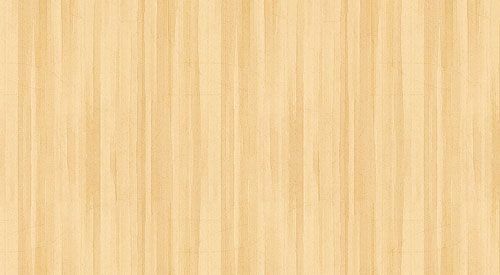 One wood is used in the frame members and another, often highly figured wood, is used for the panels, drawer fronts, and tops. He often makes thick veneer from this figured wood on his bandsaw so that the grain can be displayed by bookmatching the veneers. Tom is currently working in two styles; one of these is characterized by straight lines and square corners, and incorporates a design element that he calls "steps." Other pieces have flowing sensual curves made up from bent laminations. These pieces have rounded corners and edges. He uses traditional joinery for both styles; mortise and tenon, through dovetails, and sometimes dowels. Drawers have hardwood sides and are dovetailed at all four corners. All panels float within their frame to allow for wood movement, and solid wood tops are attached with screws in elongated holes. Tom's pieces are finished with three coats of polyurethane varnish, sanded and rubbed out with steel wool and oil. He can arrange shipping anywhere in the world.